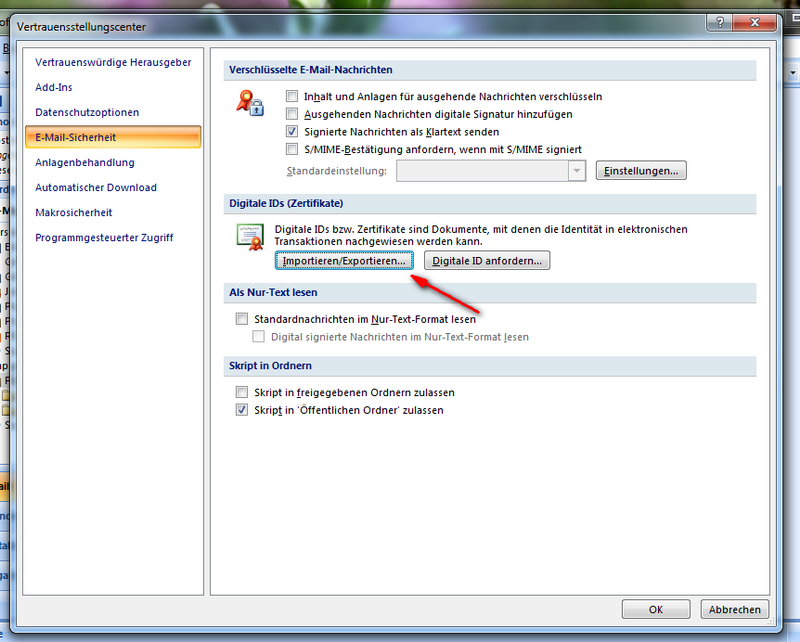 Click on Settings and import the certificate. 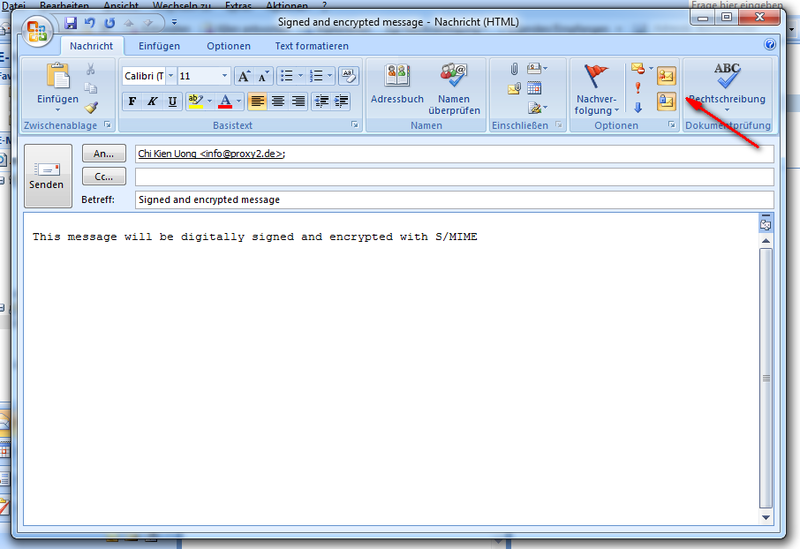 When you create a new message, you have the option to sign and encrypt the message. 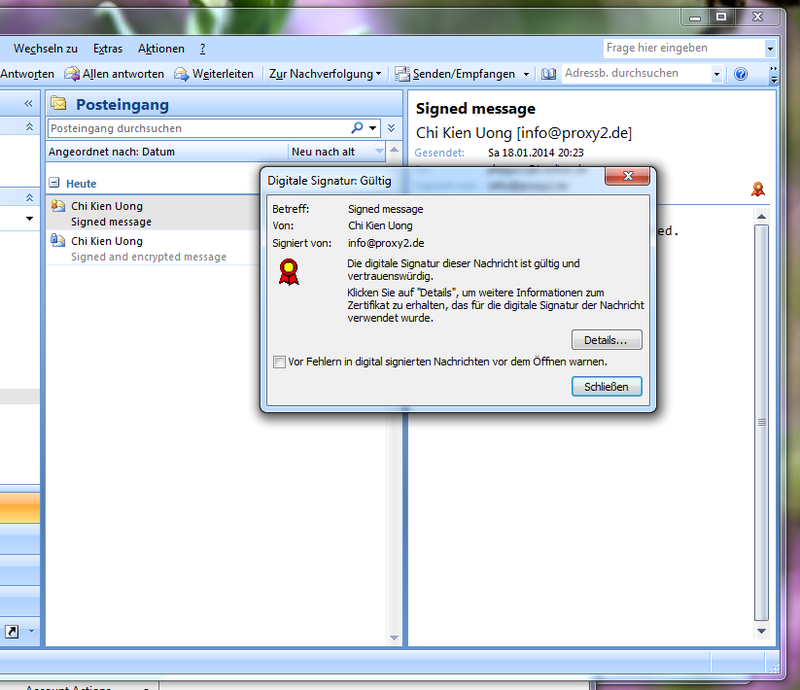 A signed message is marked with a certificate icon in Outlook. 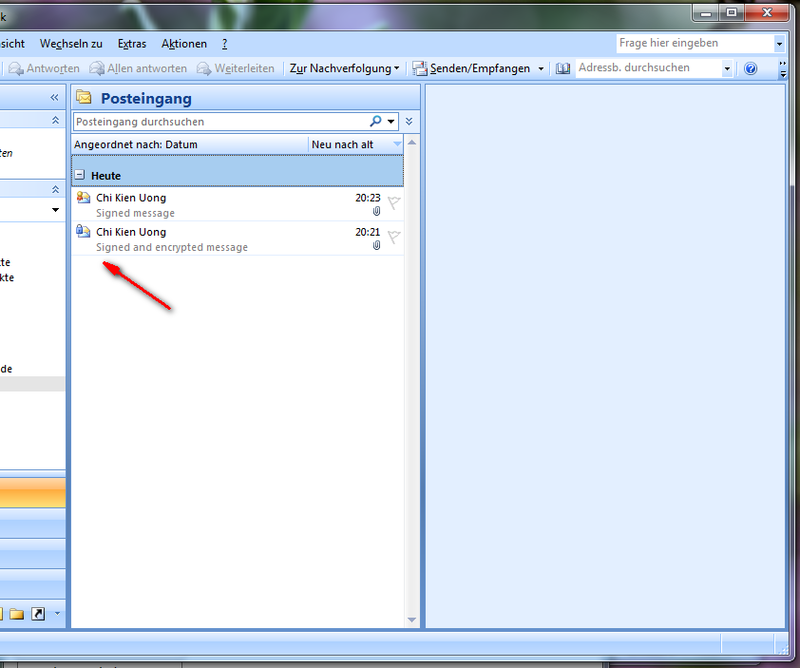 An encrypted message is marked with a padlock icon in Outlook.